Products liability and medical device cases require an understanding of technical and scientific concepts. I enjoy mastering new concepts and find the learning process fascinating as I’m working on a case involving a particular product. TaKeena Thompson Sandifer is an experienced trial lawyer with a diverse practice in medical malpractice, insurance bad faith litigation and products liability litigation, including pharmaceutical drug and medical device litigation. TaKeena’s products liability experience has involved oral contraceptives, transvaginal mesh, inferior vena cava (IVC) filters, metal-on-metal hip replacements, hormone therapy and pain pump devices. During law school, TaKeena served as the President of the Black Law Students Association and was the 2008 recipient of the Indiana Lawyer’s Diversity in Action Award. She was the recipient of the Alecia A. DeCoudreaux Scholarship and participated in the Sherman Minton Moot Court Competition, where she received oral advocacy honors and advanced to the Octofinals. She then was selected to serve as the Executive Judge Coordinator for the Moot Court Competition. 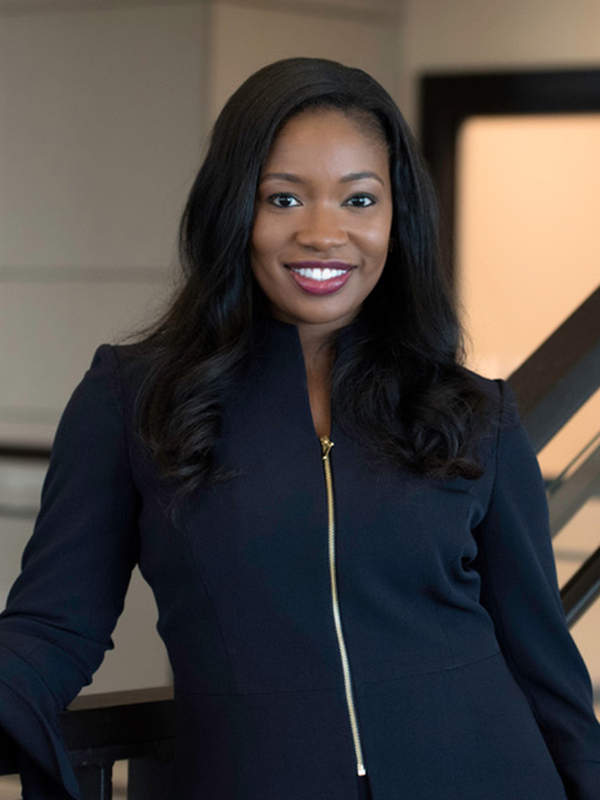 TaKeena was also a member of the law school’s Trial Competition Team and competed in the ABA Trial Competition and Midwest BLSA Trial Competition. She was inducted into the Order of Barristers in 2009. While in law school, TaKeena became a Certified Domestic Relations Mediator. She also volunteered with Outreach for Legal Literacy, a program that teaches elementary students about the United States Constitution and the legal system. TaKeena is admitted to practice in Indiana and Tennessee. TaKeena has advised pro bono clients through initiatives with the Indianapolis Bar Association including the “Ask-a-Lawyer” Program and Legal Line. She also served as a volunteer for Dress for Success Indianapolis, Center for Leadership Development, Starfish Initiative and Reach for Youth, Inc., for which she also served as a board member. TaKeena has served as president of the Marion County (Indiana) Bar Association and as a board member at-large of the Indianapolis Bar Association. She was also a member of the Indiana Trial Lawyers Association, Indiana State Bar Association, Indiana Supreme Court Records Management Committee, American Association for Justice and the National Bar Association. • Successfully representing a client in a medical malpractice claim involving the over-prescription of an antibiotic which caused permanent vestibular (inner ear/balance) problems, resulting in a seven-figure jury verdict in favor of the client.